Preston began his workers’ compensation career as a Hearing Officer for the Ohio Industrial Commission. He presided over all types of claims, and heard all issues including original allowance, violations of specific safety requirements, final settlements of claims and all issues involving extent of disability. Preston also served as Legal Director (chief legal advisor) to the Ohio Industrial Commission. In this capacity he advised the commission on a variety of political and legal issues, including a company’s eligibility for self-insurance. He also served on the adjudicating committee, which heard all disputes involving insurance for state fund employers. All attorney Hearing Officers were part of his staff. After leaving the Ohio Industrial Commission, Preston went to Squire, Sanders & Dempsey, where he represented employers in all aspects of workers’ compensation law. As the Workers’ Compensation Administrator of Squire, Sanders & Dempsey, he supervised all major cases and personally represented employers in all Ohio courts and at all levels of administrative proceedings. In 1997, he and Mike Hickey formed Garvin & Hickey, LLC, which is dedicated exclusively to representing employers in all matters related to workers’ compensation. Preston is Special Counsel to the Ohio Chamber of Commerce for workers’ compensation matters. He was appointed as a member of the Select Commission on Workers’ Compensation Administration, the committee that authored the study that later became the basis for Amended Substitute House Bill 222. Governor Voinovich appointed Preston to the Workers’ Compensation Task Force, which was created to review various compensation and benefit levels. He has testified before various House and Senate committees on numerous workers’ compensation and intentional tort bills. Preston has also served on various Industrial Commission committees, such as the committee to study permanent total disability compensation, the structured settlement committee and the temporary total disability compensation committee to study the GAP problem. He continues to serve as a member of the standing committee to review Industrial Commission rules. Preston has received the Patrick J. O’Neill award presented by the Ohio Self-Insurers Association. He is listed in the Best Lawyers in America, Woodward and White, Columbus Monthly Magazine, Top Lawyers in Columbus, Ohio Super Lawyers, and has been rated one of the top 50 lawyers in Columbus and top 100 in Ohio, and has an AV rating from Martindale Hubbell. Best Lawyers in America named him “Lawyer of the Year” in 2014, for Workers’ Compensation Law – Employers, in the Columbus, Ohio metropolitan area. Preston is a regular speaker for the Ohio Bar Association, the Ohio Chamber of Commerce, the Ohio Self-Insurers Association and various other groups. Preston also serves on the Board of Directors of Kids Chance of America and the board of Kids Chance of Ohio. It is the mission of Kids Chance of Ohio to provide financial support to further the education of children of Ohio workers who have been killed or declared permanently and totally disabled as a result of workplace injuries. Mike began his workers’ compensation career in 1971 with the Ohio Attorney General’s Workers’ Compensation Section. As an Assistant Attorney General he represented the Ohio Industrial Commission and Bureau of Workers’ Compensation in the trial courts and appellate courts including the Ohio Supreme Court. After four years he was appointed Chief of the Attorney General’s Workers’ Compensation Section. As Section Chief he supervised a staff of twenty-four trial attorneys and served as the Chief Outside Legal Counsel for the Industrial Commission and Bureau of Workers’ Compensation. Upon leaving the Attorney General’s office he joined the firm of Squire, Sanders & Dempsey where he practiced in all areas of workers’ compensation law, exclusively representing employers. In 1997, he and Preston Garvin formed Garvin & Hickey, LLC, which is dedicated exclusively to representing employers in all matters related to workers’ compensation. Mike has received the Ohio Legal Center Institute Award of Merit. He is listed in Best Lawyers in America, Woodward & White; Business First’s Who’s Who in Columbus Law, Columbus Monthly Magazine’s Top Lawyers in Columbus and has been listed in Ohio Super Lawyers since 2004, a distinction limited to the top 5% of Ohio’s practicing attorneys. Mike is a member of the Columbus Bar Association and Ohio State Bar Association where he serves on the Workers’ Compensation Committee. In 1996 he was appointed by the Ohio State Bar Association, and confirmed by the Ohio Supreme Court, to serve on the Workers’ Compensation Law Specialty Board. The Specialty Board was charged with the responsibility of developing and administering an examination to be taken by attorneys desiring to become certified as a Workers’ Compensation Specialist. Mike is also actively involved in defending intentional tort actions, and is a frequent lecturer on the subjects of workers’ compensation and intentional tort. He is a regular speaker for the Ohio Chamber of Commerce, the Ohio Self-Insurers Association, the Central Ohio Self-Insurers Association and various other groups representing the interests of employers. Dan was admitted to the practice of law in Ohio in 1993 after graduating from Capital University Law School. From 1993 to 2000 he was engaged in the general practice of law. From 2000 to 2002, he served as an Assistant Attorney General in the Workers’ Compensation Section. In this capacity, Dan represented the Ohio Industrial Commission and the Ohio Bureau of Workers’ Compensation in Ohio’s trial and appellate courts, including the Supreme Court. Dan joined Garvin & Hickey, in 2002. Dan is a member of the Columbus Bar Association and the Ohio State Bar Association. He is a graduate of the Columbus Bar Association Barrister Leader Program, and has served on the Family, Probate, Real Property, and Young Lawyer’s Committees of the CBA. He currently serves on the Unauthorized Practice of Law and Workers’ Compensation Committees of the CBA. Dan was also appointed to serve on the Board of Governors of the Young Lawyer Section of the Ohio Bar Association, where he chaired the Mentoring and Membership Committees. He currently serves on the Workers’ Compensation Committee, and is a member of the Litigation Section of the OSBA. Dan has presented Continuing Legal Education seminars concerning guardianship and the preparation of wills and powers of attorney, and had made numerous public appearances on behalf of the Ohio Attorney General Pro Bono Program. Matt began his workers’ compensation career in 1986, with Cantlon & Associates, a third party administrator, actively participating in the administration of Ohio and Illinois claims. In 1992, he went to OCS Management and worked as a hearing representative, appearing on behalf of clients before the BWC and Industrial Commission. Matt graduated from Capital University Law School, in 2000. Since being admitted to the practice of law, he has represented claimants and employers before the administrative agencies and the trial and appellate courts of Ohio. Because he has broad spectrum of experience, he has a unique perspective and insight into the workers’ compensation system and claims management strategy for employers. Matt joined Garvin & Hickey, in 2006. Matt is certified by the International Committee on Health Care Certification as a Medicare Set-Aside Consultant Certified (MSCC), and by the Louisiana Association of Self Insured Employers as a Certified Medicare Secondary Payer Professional (CMSP). Matt has given presentations on Medicare Set Aside issues in the scheme of Ohio workers’ compensation, and he regularly advises clients, attorneys and other workers’ compensation professionals regarding MSA issues. 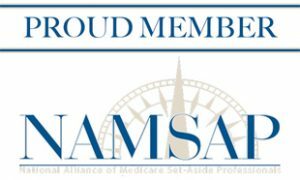 He works with a nurse to provide Medicare Set Asides (MSAs) for clients, other firms and workers’ compensation professionals. He is also a member of the National Alliance of Medicare Set-Aside Professionals (NAMSAP). 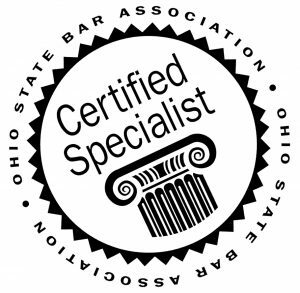 Matt is certified as a Specialist in Ohio Workers’ Compensation Law by the Ohio State Bar Association. Matt is admitted to practice in the state courts of Ohio and to the Federal District Court for the Southern District of Ohio. He belongs to the Columbus Bar Association and the Ohio State Bar Association. In 2004, Matt was nominated by the most recent group of “Super Lawyers” and named a “Rising Star” among Ohio’s lawyers, by Law & Politics Magazine. This distinction is awarded to approximately 2.5 percent of lawyers in Ohio, who are under the age of 40 or in the practice of law for less than 10 years. Niki was admitted to the practice of law in Ohio in 2016, after graduating from Ohio Northern University, Claude W. Pettit College of Law. During law school, Niki interned at the Franklin County Prosecutor’s Office, as well as Hardin County Prosecutor’s Office, in Ohio. Niki joined Garvin & Hickey in 2017. She is a member of the Ohio State Bar Association and the Columbus Bar Association. Sandee was admitted to the Ohio practice of law in 1998, after graduating from Georgetown University Law Center. Sandee joined the Ohio Attorney General’s Office in 1999. In this position Sandee gained extensive experience in the trial and appellate courts of Ohio while representing the Ohio Industrial Commission and Ohio Bureau of Workers’ Compensation. In 2001, Sandee joined Garvin & Hickey where she concentrates her practice on representing employers before the Industrial Commission of Ohio and the various trial and appellate courts.